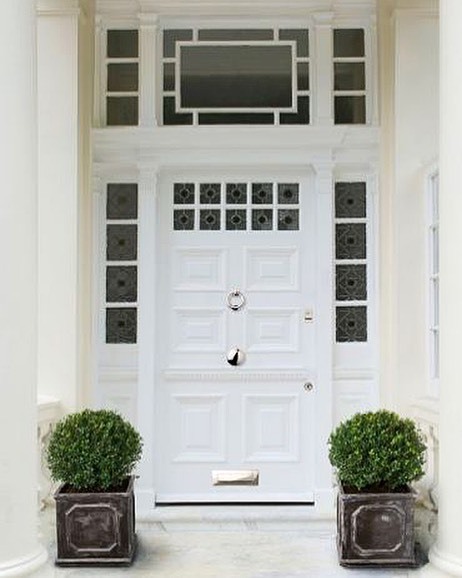 The front door is often the door that is allocated the highest budget, so it is important that any door furniture you choose offers the right combination of aesthetic appeal and security you require. When it comes to picking out your exterior hardware, securing your home should be your top priority. It is essential to that the correct locks and latches are chosen: providing security to your home and its contents, and choosing door locks and latches that validate your house insurance. Mortice deadlocks and sashlocks are one of the most common types of locks referred to in a home insurance policy. A mortice lock requires a key to both lock and unlock it. You may know these as ‘secondary locks’. In general, they come in two forms: standard nightlatches and deadlocking nightlatches. Both will require the user to have a key to gain access from the outside when the door is shut. A deadlock night latch operates just as the standard night latch does but also has a facility to deadlock the latch bolt which gives additional protection for the lock against manipulation attacks by potential burglars. For this reason deadlocking latches are more secure. It is important to note that unless a British Standard rated night latch is chosen, this type of lock should not be the only lock on a door. Multi-point locking systems are now commonly used and are found mainly on UPVC and composite doors but increasingly on timber doors too. A multi-point locking system has a minimum of 3 locking points: locking using hook bolts, camrollers or pins. All these ‘multi points’ lock simultaneously. While this type of mechanism is not covered by the British standard BS3621, this is still a viable option for locking your door. It is important that the correct cylinder is installed into this type of lock, as security is only as strong as the weakest point. Cylinder locks are a common type of lock found on doors. It’s advisable that you check with your home insurer that this type of lock is acceptable and what the minimum specification they require for cylinders. A cylinder lock is easy to install in its appropriate lock case and works with UPVC, composite and wood doors. Some BS3621 cylinder mortice locks will come with a cylinder included and you must use all parts otherwise you can invalidate the BS3621 rating. If you are adding a cylinder to an external lock case the ideal cylinder to use is a 3* kite marked cylinder. Commonly used on external doors, including French and double doors. Your insurance policy may specify that key-operated security bolts should be fitted to the top and bottom of the door. There is no real security requirement with hinges, however on outward opening doors it is advisable to add hinge bolts to the door or use dog bolt hinges which incorporate the hinge bolt into the leaves of the hinge. This protects against burglars attempting to remove the door from the frame by knocking out the hinge pins. 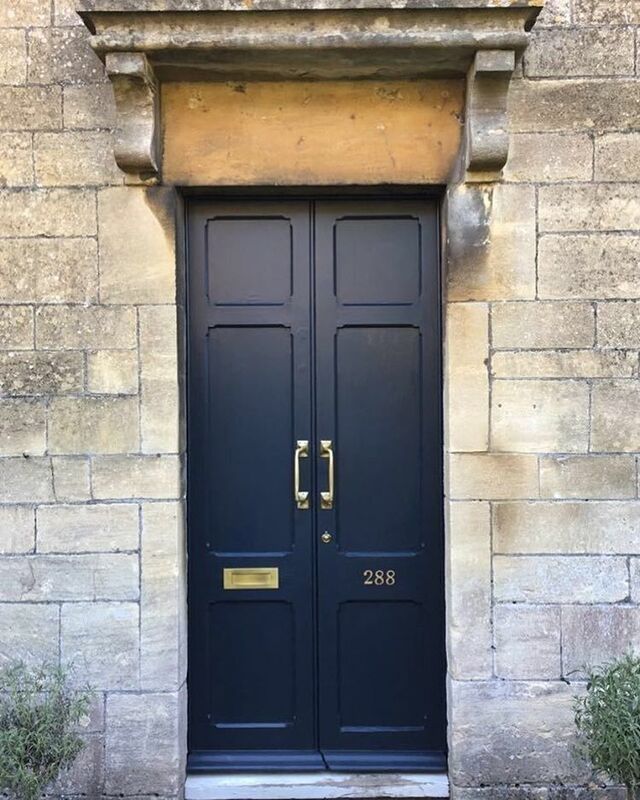 Exterior doors often have to withstand very extreme weather situations; from rain and snow to the rigours of the beating sunlight as well the sea, in some cases. It is important, therefore, to ensure the material, and finish, chosen for exterior door furniture is suitable. Stainless steel – high grade Stainless steel is resistance to corrosion and staining, its low maintenance and familiar finish, make it an ideal material for many external applications. Grade 316 is ideal for marine settings while Grade 304 and Grade 201 can be used inland. For longevity, Grade 304 will last longer than Grade 201. It is important that even stainless steel is periodically cleaned with an appropriate cleaner to avoid corrosion. Brass - Brass may be lacquered or unlacquered: lacquered does protect the shiny appearance of polished brass temporarily and only needs cleaning with a soft cloth. However, over time the lacquer will break down if used outside: tarnishing will set in giving a pitted appearance. Unlacquered brass is constant in colour but does need regularly cleaning with ‘brasso/duraglit’ type product to maintain a shiny finish. Many people actually prefer the more natural aged appearance of tarnished brass and so opt for unlacquered brass. Black Iron – black iron may refer to a metal base, ( often steel composite), with a blackened paint finish - for areas of extreme weather, for instance in coastal locations, it is important for the base metal to be zinc plated prior to blackening to avoid corrosion. Bronze – bronze is a hard metal composite: many of the modern bronze finishes are brass based and therefore suitable for an external environment. Often wearing to an attractive patina. Solid bronze simply has a higher copper content than brass, which is why it is more costly buy, and is perfectly suitable for external environments too. Replacing and updating exterior door ironmongery can be a specialist job. Don’t forget your current door ironmongery and furniture when looking to update or replace. Be objective, and look at each item individually – often internal mortice locks are working well but may need a little attention or smartening with new escutcheon or door furniture. If you have traditional pieces of door furniture that are functionally perfect but need refreshing we may be able to advice on cleaning, matching, copying or refinishing these pieces to work with new items. Each period of house, from medieval, through Victorian and Georgian, to 1930s onwards, including very new build and contemporary homes, will have a very particular feel to the building and its place in its environment. When deciding to update or replace exterior door furniture it is useful to appreciate what is best suited to your particular home, perhaps walk around the neighbourhood or search online for inspiration on the style of door furniture and finish you prefer: this time is well spent before deciding on a purchase that may be with you, on your front door, for many years to come. We stock door furniture for all styles of home and have wide experience that we are happy to share in advising the right pieces for you and your home.